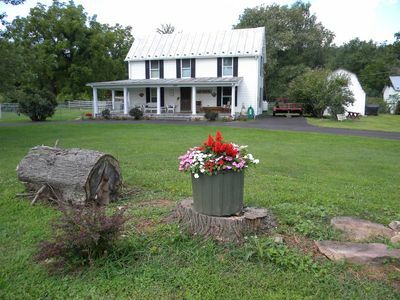 Excellent property for that Romantic Retreat, Family getaway or for nature lovers. 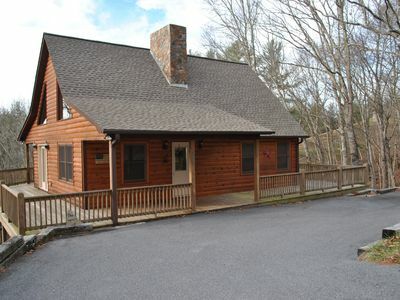 This cozy 2 Bedroom 1 Bath cottage sits on 3.5 acres of private secluded mountain top retreat. 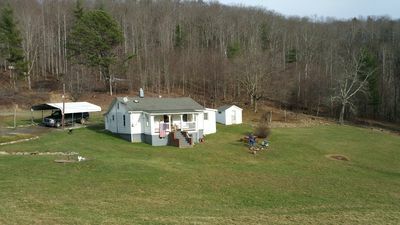 it offers a barn for your horses with water and electric with enough room for your trailer or RV. 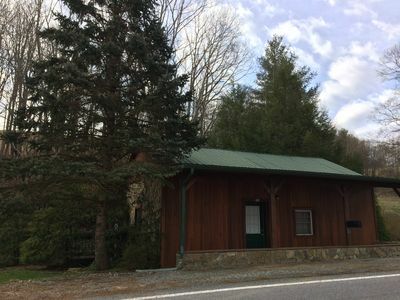 We are within minutes of Grayson Highland State Park/Mount Rogers National Recreation area, the famed Virginia Creeper Trail, New River Trail, Appalachian Trail, Virginia Highland horse trails and only a 45 minutes drive from I-77 or I-81. Spend your days adventuring out and about. 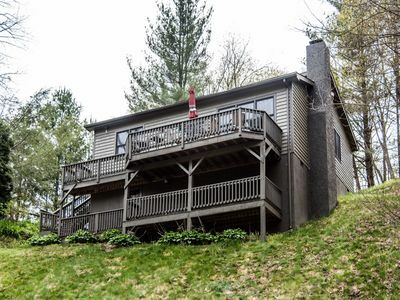 Come home to your own fully furnished, Mountain Cottage. 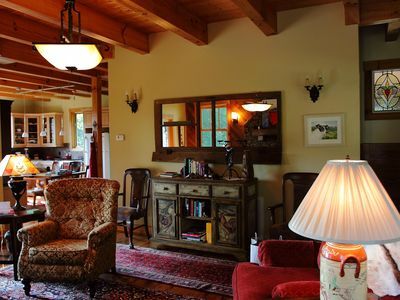 Restore your soul surrounded with breath-taking mountain vistas and fresh mountain air while rocking on the front porch as you whip up some savory mountain cooking in the fully equipped kitchen or Roast marshmallows, grill some freshly caught trout or warm up on a chilly evening at the fire pit. 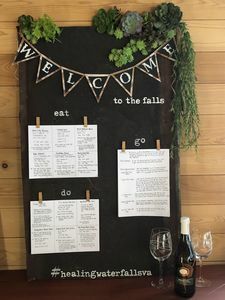 Excellent restaurants are within a casual 15-30 minute drive. 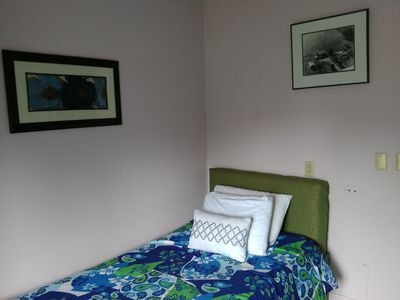 And when your ready to retire after a memorable packed day, simply snuggle down amongst in either the King bed in the master bedroom, the full size bed in the 2nd bedroom, futon or the sofa bed. 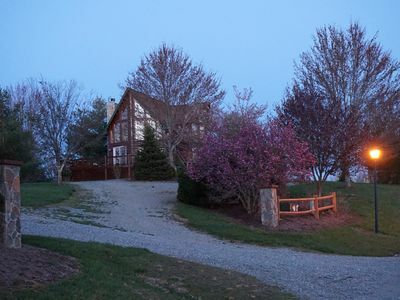 Take in that 'Country Quite' while breathing fresh country mountain air as you slowly drift off to sleep. 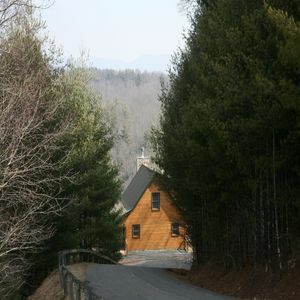 Whether planning a honeymoon, anniversary, family reunion or personal escape, Mountain Air Cottage can't be beat! 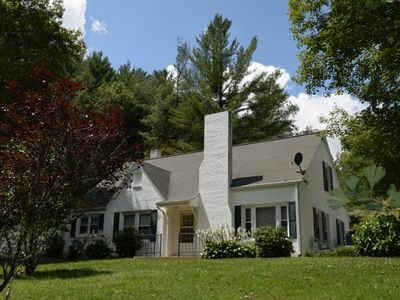 Temp's at the cottage's 3,300 foot elevation are typically about 10 degrees cooler than in lower-elevation Independence, VA, just 29 miles away. 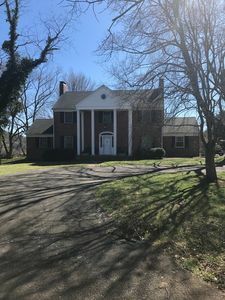 And Independence typically has 10-degree lower temperatures than lower-elevation Piedmont locations such as Charlotte, NC, some 124 miles to the south. Independence has a large grocery store, restaurants, park with swimming pool and tennis courts, and antiqueing if you decide to go exploring. *** Home & grounds is Not child proof for children under 17y/o. Therefore we have a minimum age of 27 y/o for all guests. 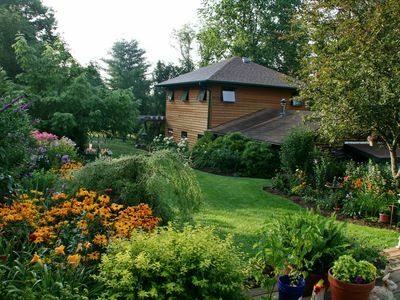 Private and serene but caretakers are just up the drive if needed. 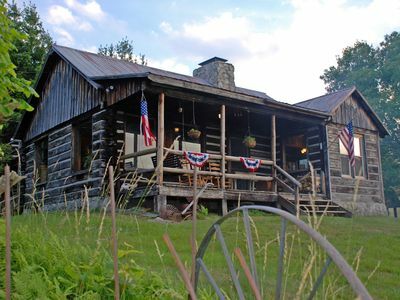 Mountain Air Cottage honors all military personnel with a military discount year round. 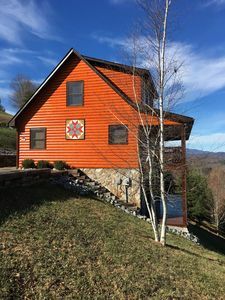 We want to say thank you to our service people and their families by offering an affordable yet relaxing cottage for your Southwest Virginia getaway. Contact us today about how we can accommodate your vacation dreams. 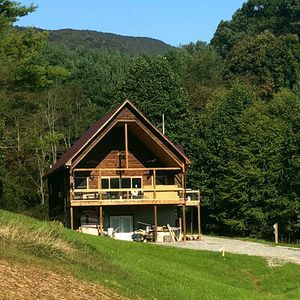 Mountain Air Cottage and all of Grayson County, Virginia say Thank You! Pet fee is $25.00 per pet per day. If you have 2 dogs (Max) we offer a Flat Fee of $50 1st pet, $25 2nd pet regardles of length of stay. Guest must bring crate and have pet(s) in crate anytime pet(s) are left alone. No cats. 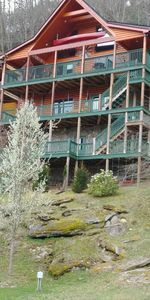 If you book the Mountain Air Cottage, be aware that the rental property may come with some wildlife neighbors popping up from time to time. 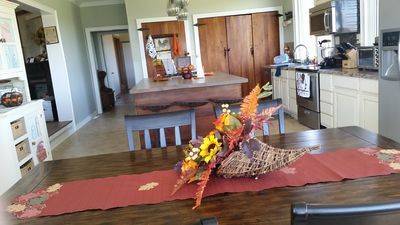 Deer, turkey, and other wildlife are common sights at this two bedroom, one bath cottage. Come experience absolute tranquility... without roughing it! 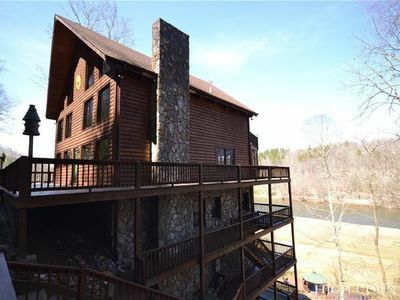 Secluded rustic log cabin at 4,000 ft with spectacular views & modern amenities. Peace, quiet & relaxation! Family friendly home. 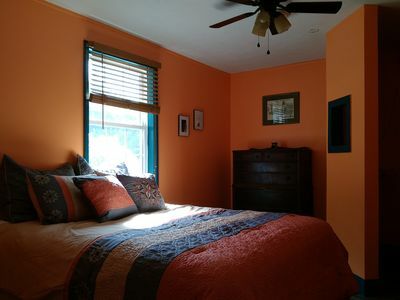 The Orange Room - Electromagnetic Free!